Congrats Maverick! You’ve reached an impressive milestone. We’ve chosen Jostens to provide all of our graduation products, and they’re shipped directly to you. 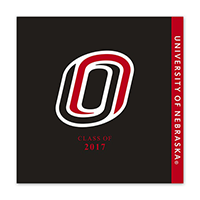 Our University of Nebraska at Omaha graduation announcements are personalized from Jostens, and come as complete packages or a la carte. Choose from personalized announcements, envelopes, address labels, notecards, envelope seals, tissue inserts, and thank you notes. 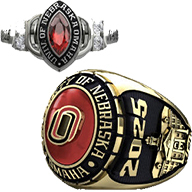 We partner with Jostens to create a ring that reflects your Maverick pride, achievements, and style. Choose from 29 different rings. Order yours today. 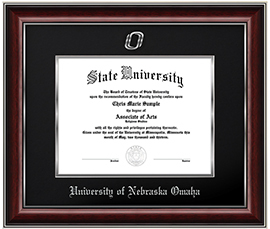 Frame up your achievement with a custom diploma frame. Choose from 15 different options including various finishes, orientations, and more. We carry the three most popular styles in stock here, or view the full selection on the Jostens site.